The hardest part of taking jewelry photos is the set up of the jewelry itself. Here are a few of the helpful props you can use to anchor and suspend your work when shooting. Cloths pins and "map tack" (the white sticky stuff found at stationary stores for holding up posters) are essentials. Most of my other props are made with wire. 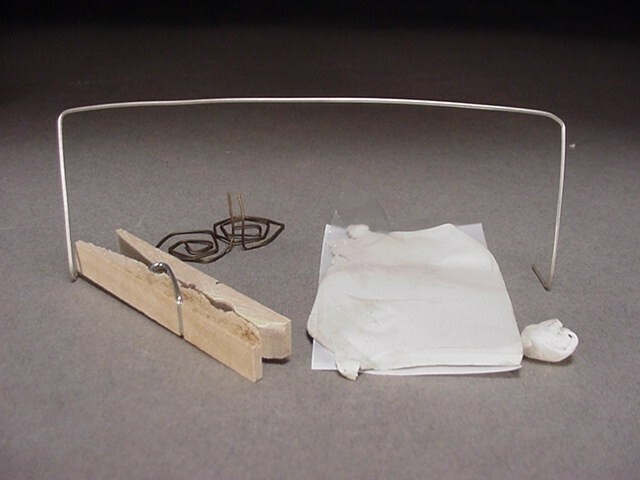 Fishing line, tape, even glue can be used (sparingly, I suggest! ).